Before the passage of the Pure Food and Drug Act of 1906, the manufacture and sale of so-called “medicine” in the United States was unregulated. This wild west atmosphere enabled the creation of products known as patent medicines. 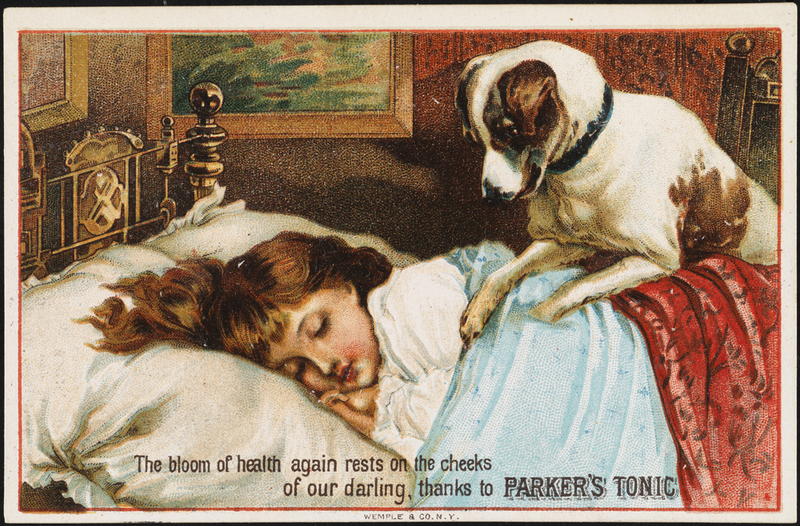 Despite their name, patent medicines were not actually patented. Instead, they were proprietary concoctions that promised cures for all kinds of ailments. 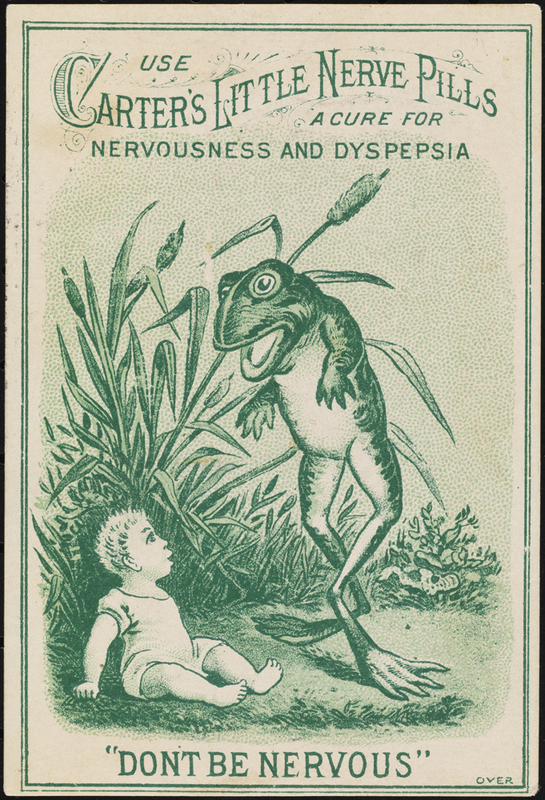 At best, most patent medicines were useless and ineffective; at worst, many of them contained addictive or otherwise dangerous substances. Consumers were ignorant of the ingredients contained in patent medicines, since the government did not require manufacturers to list them. 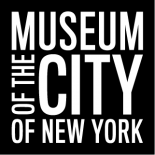 The advent of cheap printing methods such as chromolithography in the mid-19th century provided a perfect vehicle for creators of patent medicines to market their products. 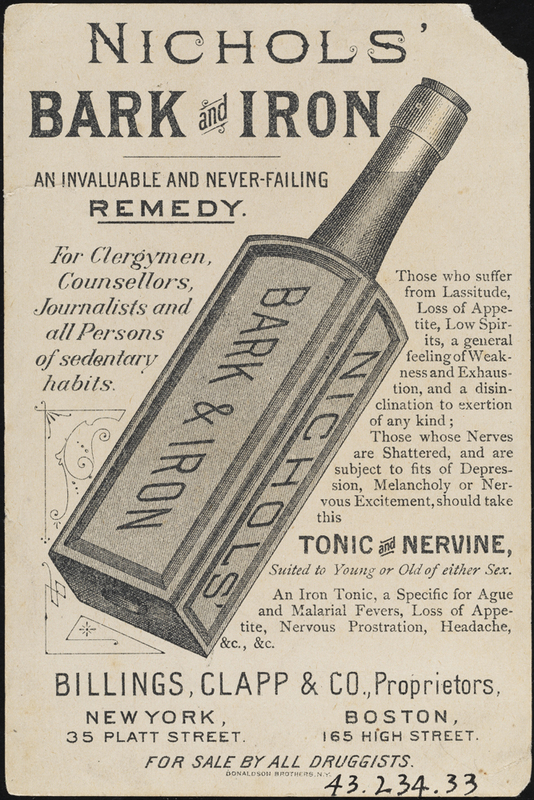 No matter the disorder – sick headache, nervous excitement, melancholy, pimples, a general feeling of exhaustion and weakness, to name just a few – there was a patent medicine claiming to cure it. 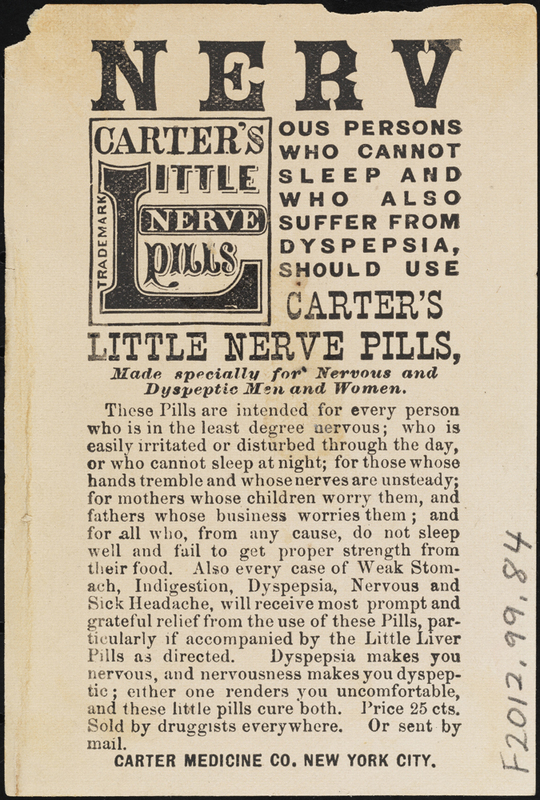 The Carter Medicine Company introduced products such as “Little Liver Pills” and “Little Nerve Pills” with eye-catching imagery and suspect declarations. 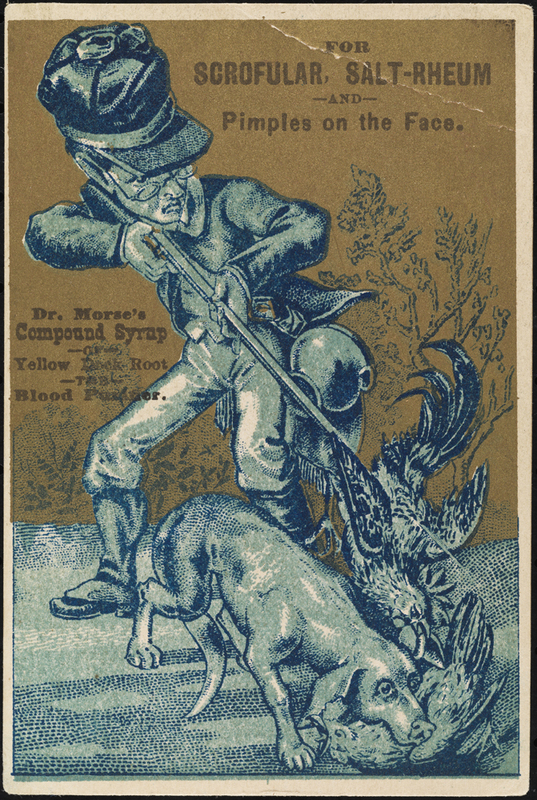 Unlike other companies featured in this blog, the Carter Medicine Co. still exists today, under the name Wallace Pharmaceuticals. Gullible America will spend this year some seventy-five millions of dollars in the purchase of patent medicines. In consideration of this sum it will swallow huge quantities of alcohol, an appalling amount of opiates and narcotics, a wide assortment of varied drugs ranging from powerful and dangerous heart depressants to insidious liver stimulants; and, far in excess of all other ingredients, undiluted fraud. For fraud, exploited by the skillfulest of advertising bunco men, is the basis of the trade. Should the newspapers, the magazines and the medical journals refuse their pages to this class of advertisements, the patent-medicine business in five years would be as scandalously historic as the South Sea Bubble, and the nation would be the richer not only in lives and money, but in drunkards and drug-fiends saved. 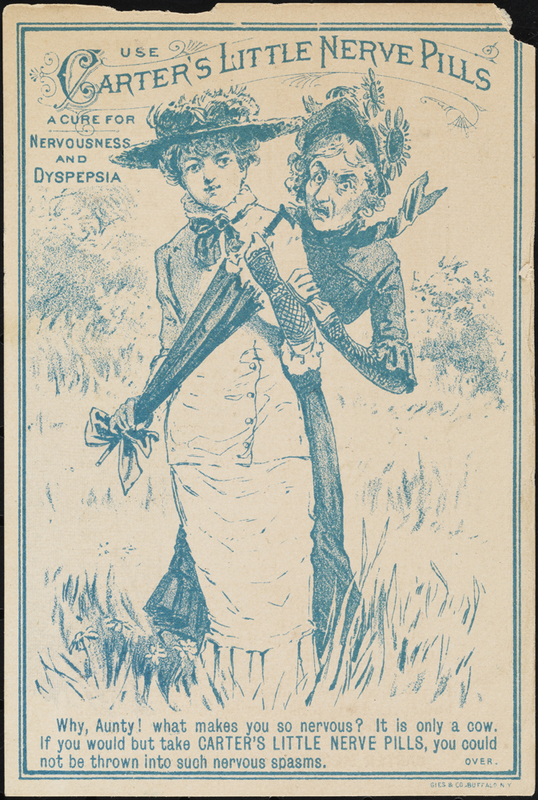 The Pure Food and Drug Act of 1906 regulated labels, but did not limit advertising. Controversy over direct-to-consumer pharmaceutical marketing continues to this day. Currently, the United States and New Zealand are the only countries that allow this practice. 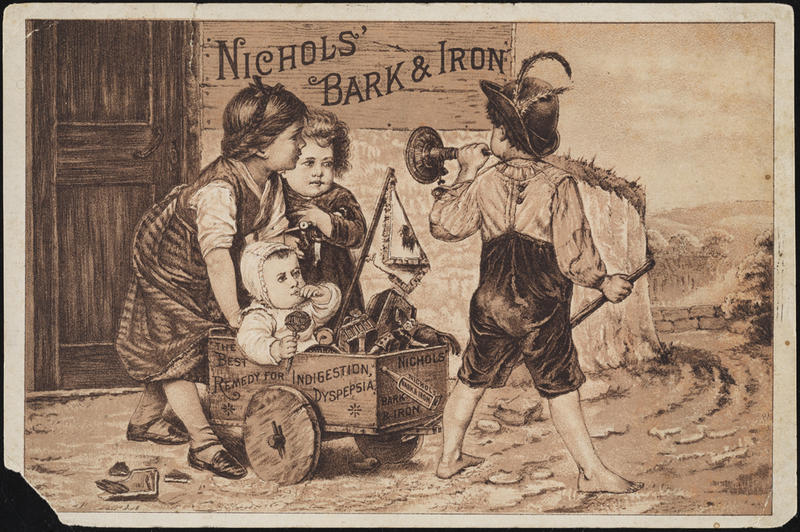 Most of the objects featured in this blog belong to the Museum’s Collection on Advertising and were digitized and cataloged under a National Endowment for Humanities grant. 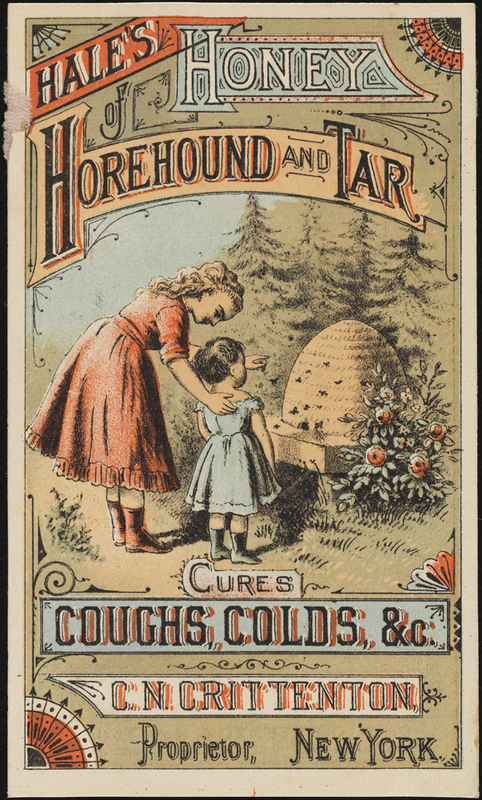 This entry was posted on August 25, 2015 by Lauren Robinson in Digital Project, Manuscripts and Ephemera, Print Collection and tagged Advertising, Ephemera, National Endowment for the Humanities, Patent medicines.